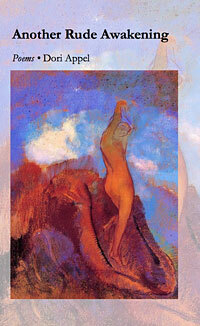 Dori Appel's book of poems, Another Rude Awakening, is published by Cherry Grove Collections. Her poetry has also been featured in many journals, magazines, and anthologies, including six collections published by Papier Mache Press. Among these are When I Am an Old Woman I Shall Wear Purple and The Best Is Yet To Be, the audio recording of which was a 1997 Grammy finalist. A playwright as well as a poet, her work has been widely produced throughout the United States, as well as internationally. Her monologues are featured in several anthologies, and three full length plays are published by Samuel French. Working between the two genres, her poems sometimes become monologues or scenes in dramatic works. The recipient of several regional and national playwriting awards, she was the winner of the prestigious Oregon Book Award in Drama in 1998 for Freud’s Girls, in 1999 for The Lunatic Within, and in 2001 for Lost and Found. Her play, Hat Tricks, is currently a finalist for the 2008 O.B.A. in Drama. when she thought about who she was. the martingale had left its mark. the meadow where she ran at night. long neck arcing towards the moon. The lights do not go out at once. muting colors, narrowing the view. a parrot's wing to catch her eye. that dance and waver at her feet. "Are we in the underpass?" Only the window to the past is clear. When You Got Top Billing.